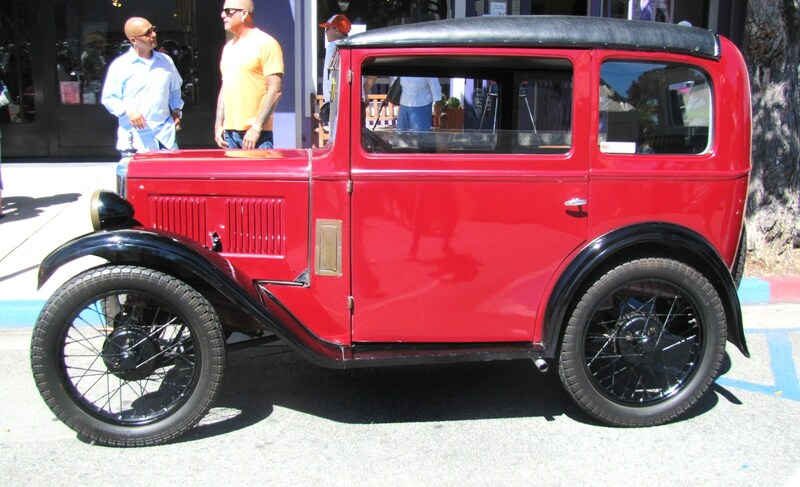 Amid all the high-end automotive finery of Monterey Classic Car Week comes the Little Car Show, an unabashed celebration of the smallest, simplest and most-fun modes of transportation. The fifth annual Little Car Show in downtown Pacific Grove brought together nearly a hundred tiny cars and trucks with engines of 1,600cc or less for an unusual afternoon gathering. 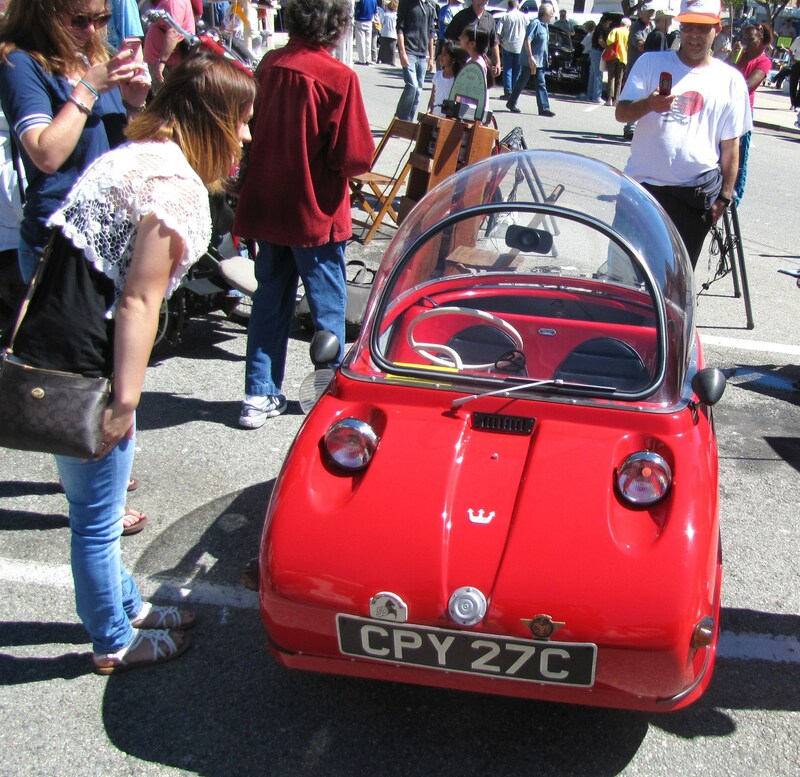 These included such common sights as Volkswagen Beetles and MGs, but also such oddities as the teensy bubble-topped 1964 Peel Trident, powered by a one-cylinder, 50cc two-cycle engine. 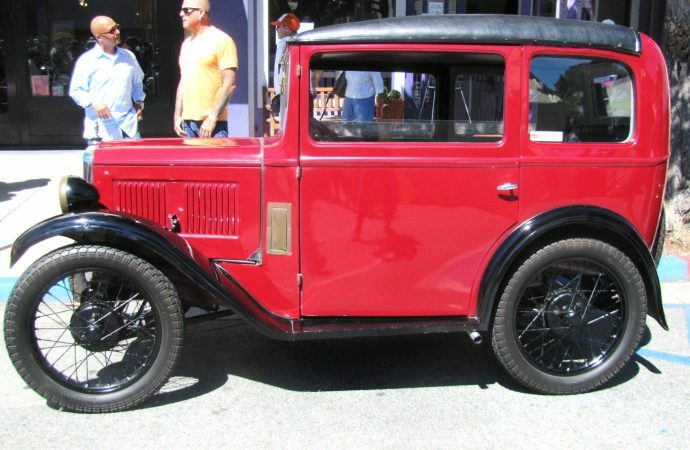 There were several British cars from the 1930s, including an attractive Austin Seven “saloon” that looked like an automotive baby buggy, a handsome 1934 Fiat Balilla sedan, an aerodynamic Czech Tatra, 1940 Bantam convertible coupe, a miniscule 1968 Fiat Vignale Gamine roadster, 1958 Fiat 600 “limousine,” a handful of Messerschmitts and a cadre of Austin Minis. This was a family friendly affair, and the kids had a blast with the little cars, some of which seemed about their size. For an extra-tall guy like me, it might be plenty of fun to view these pint-size vehicles, but a physical impossibility for me to enjoy them in any sort of interactive way. But it’s also great to see these enthusiastic owners who revel in their offbeat choices of automotive passion.